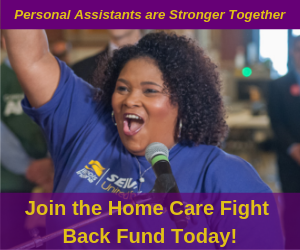 SEIU Healthcare Illinois & Indiana (HCII) is a dynamic, action-oriented union of over 90,000 healthcare and child care workers throughout Illinois, Indiana, Missouri and Kansas. As one of the largest and fastest growing affiliates of the Service Employees International Union, SEIU HCII is committed to building power for low and moderate income families by organizing workers for economic and social justice. Our mission drives our actions including our recruiting, interviewing, and hiring practices. SEIU HCII is a growing union that welcomes talented, hard-working individuals who are ready to make an immediate contribution to improving the lives of working families and their communities. We encourage you to review our available career opportunities. It is our goal to provide a positive environment that leads to the professional and personal growth of our team. It is our belief that our staff, working with our members, are the key to our success and to realizing our vision of a just society for all. View our current job openings, complete an application and submit your resume here. If your qualifications match any of our opportunities, a representative from our team will contact you to talk further. SEIU Healthcare Illinois & Indiana is proud to be an equal opportunity employer.